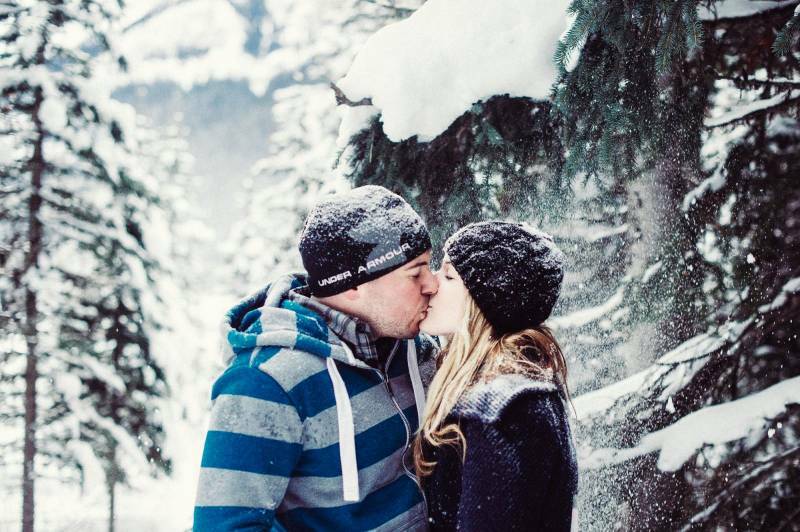 The mountains are starting to fill with snow and we couldn't help but look back on one of our favourite winter engagement sessions this weekend. 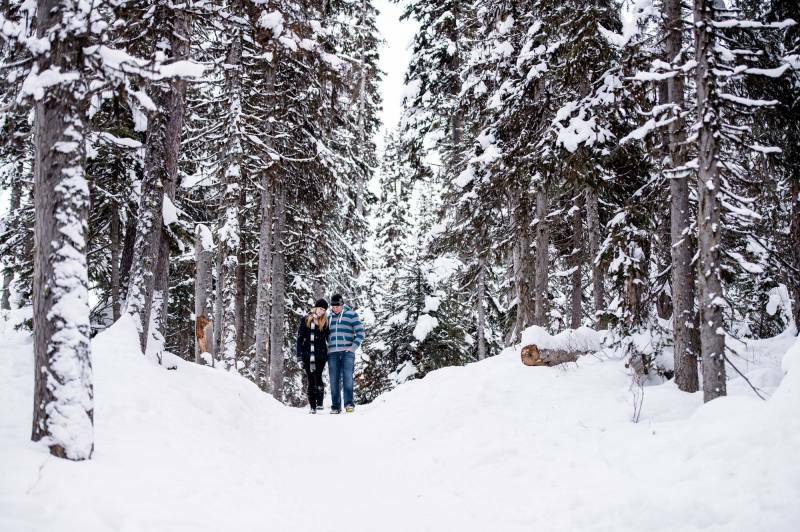 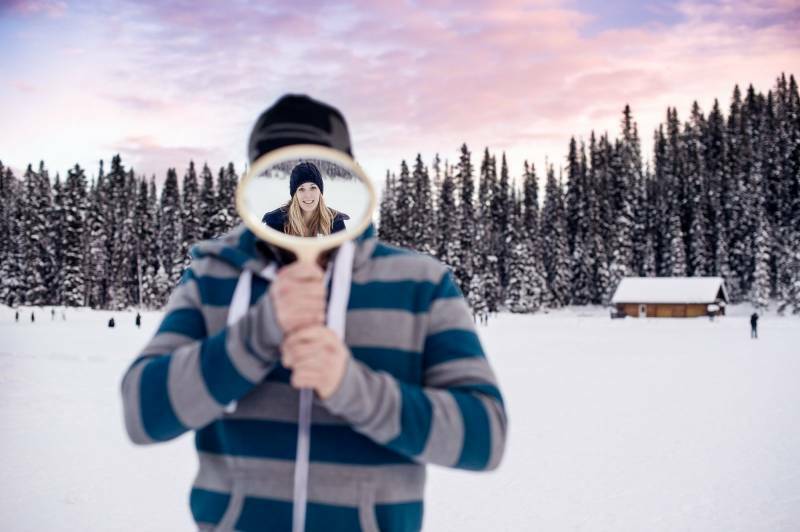 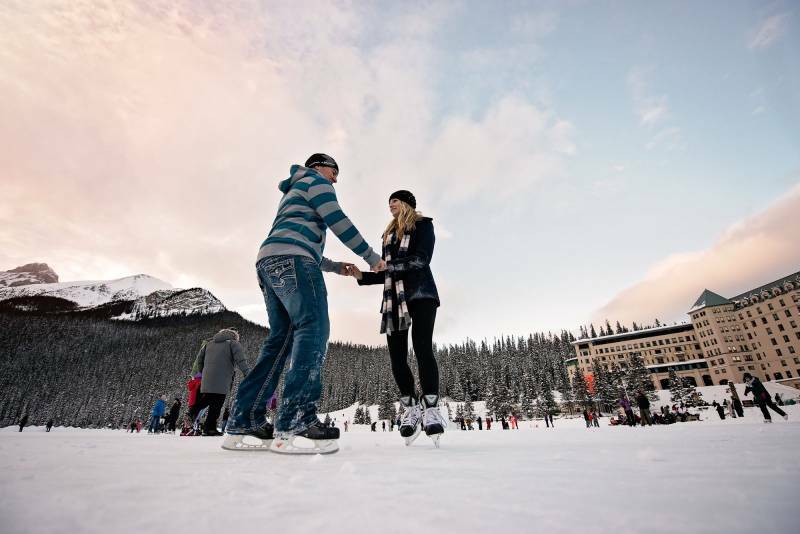 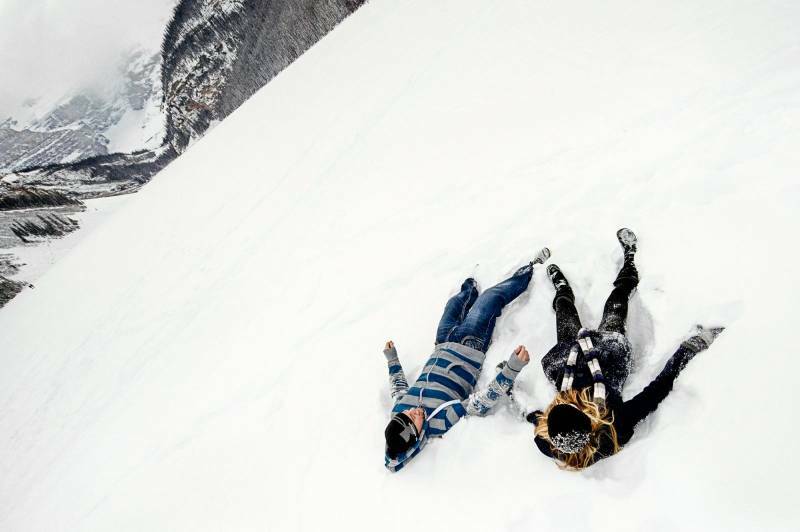 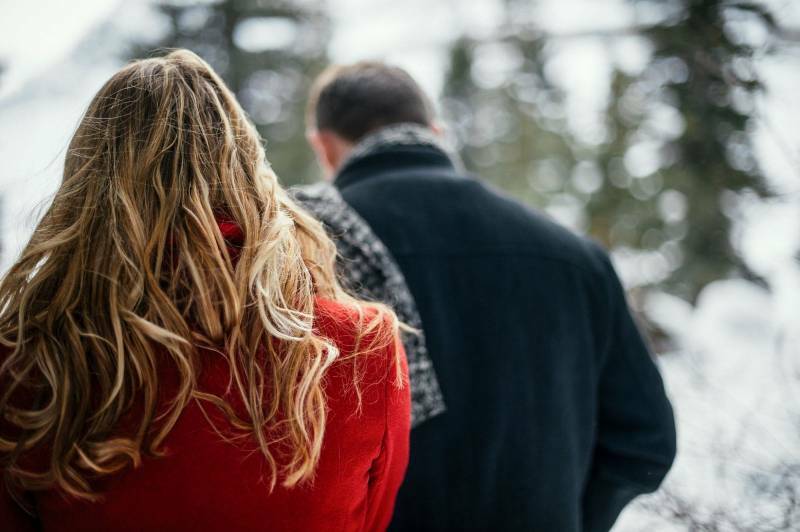 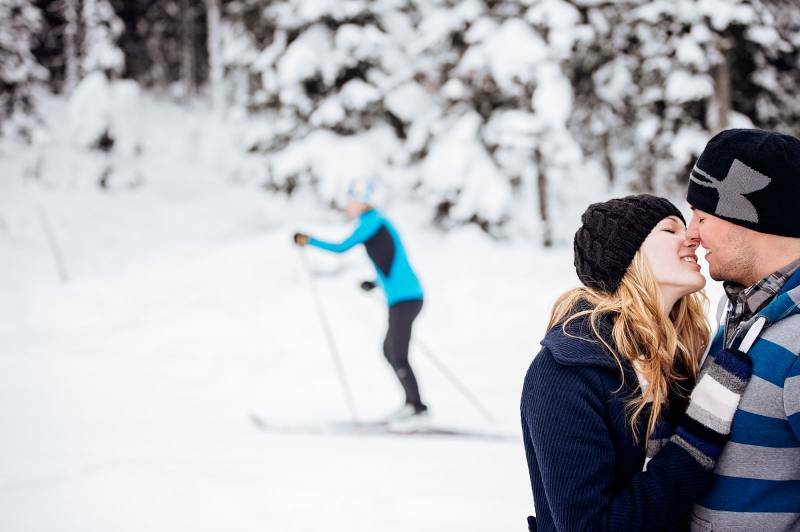 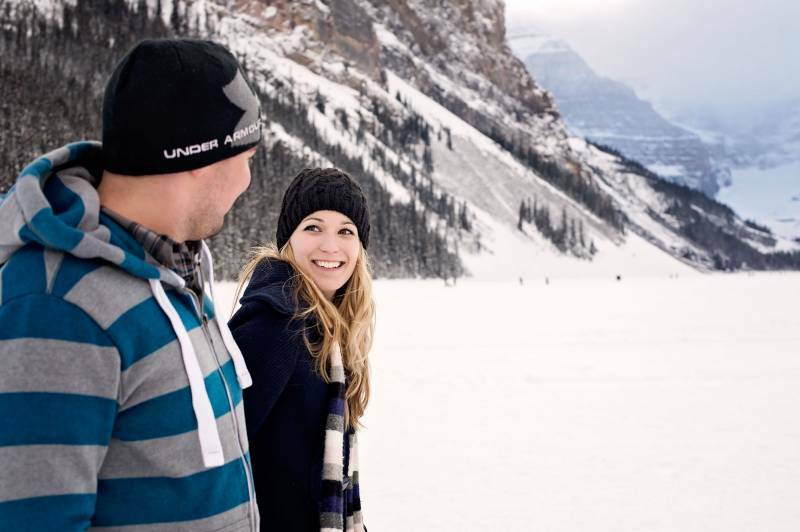 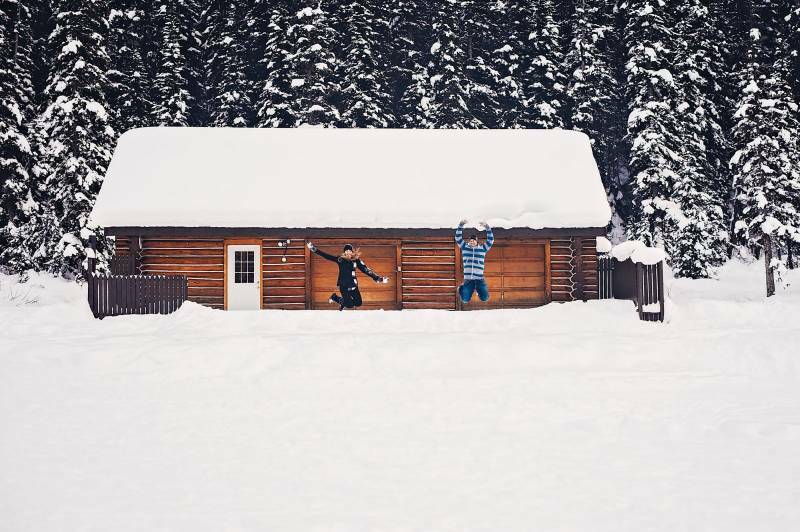 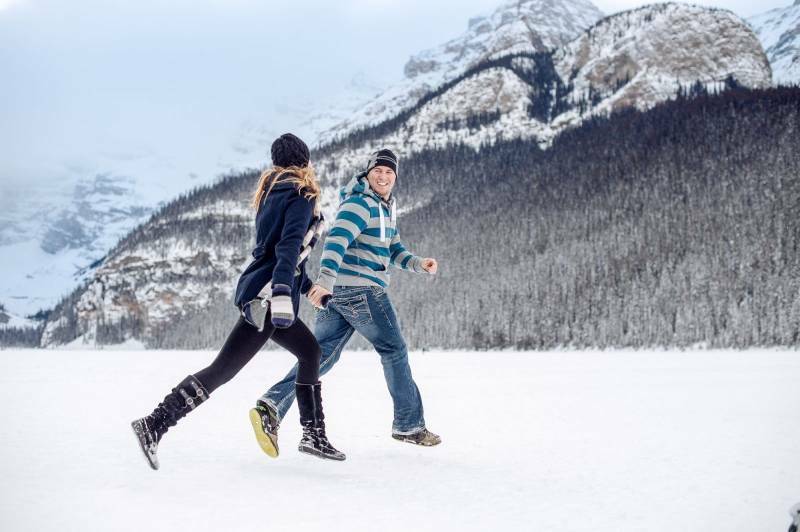 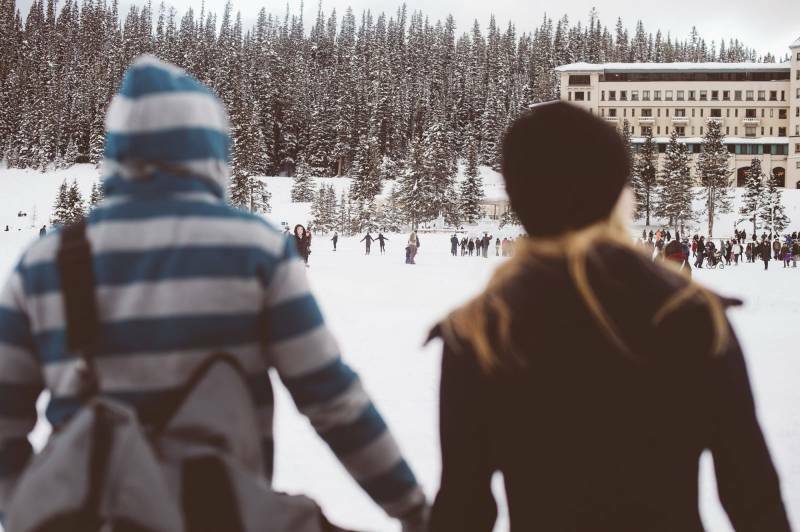 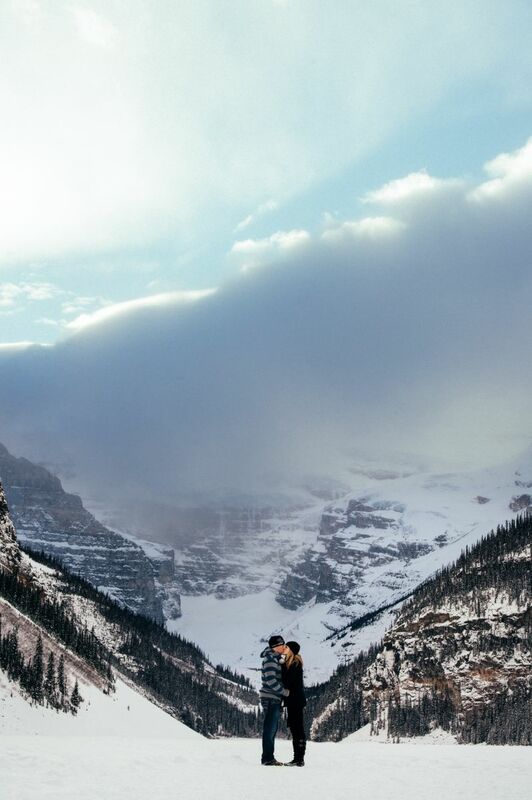 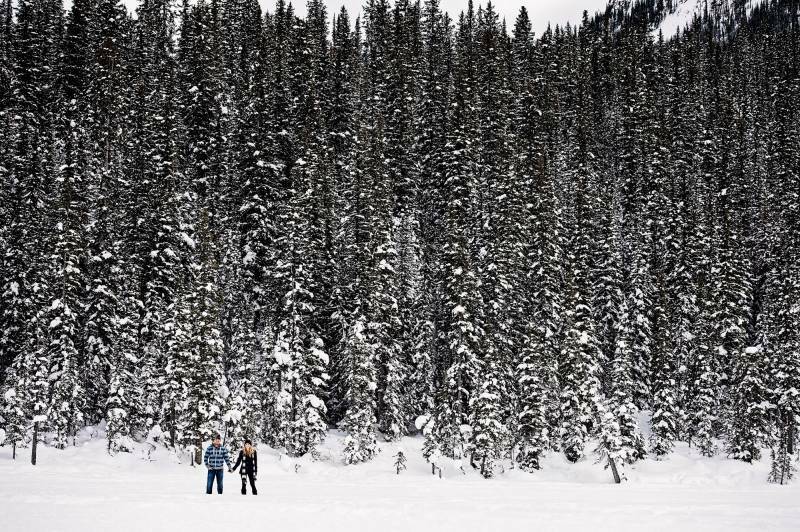 This Lake Louise engagement session will have you planning your own trip to the mountains to take in the breathtaking beauty of winter in the Rockies. 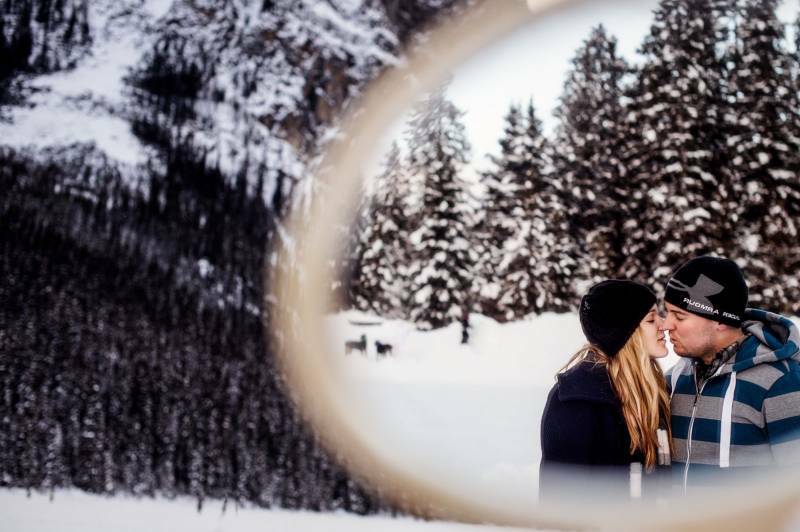 Lake Louise makes winter one of the most spectacular times of the year and we know you'll love seeing this Lake Louise engagement session. 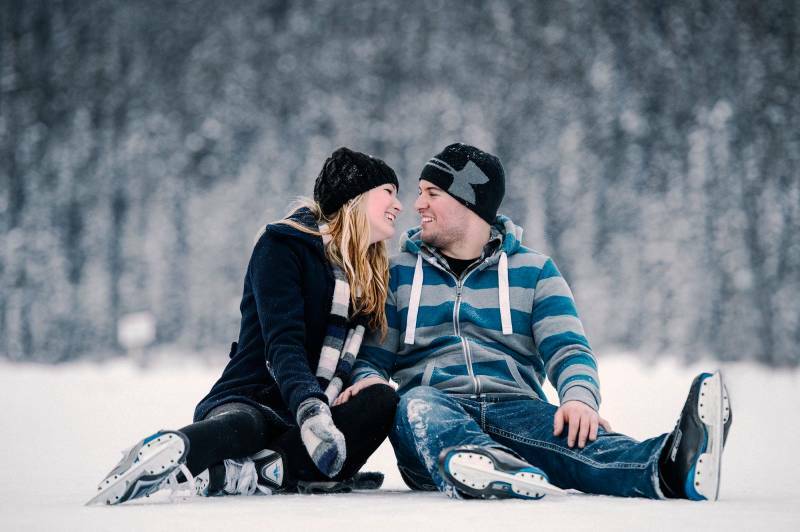 I love discovering amazing wedding photographers and seeing how they translate the passion of a beautiful couple into amazing photographs. 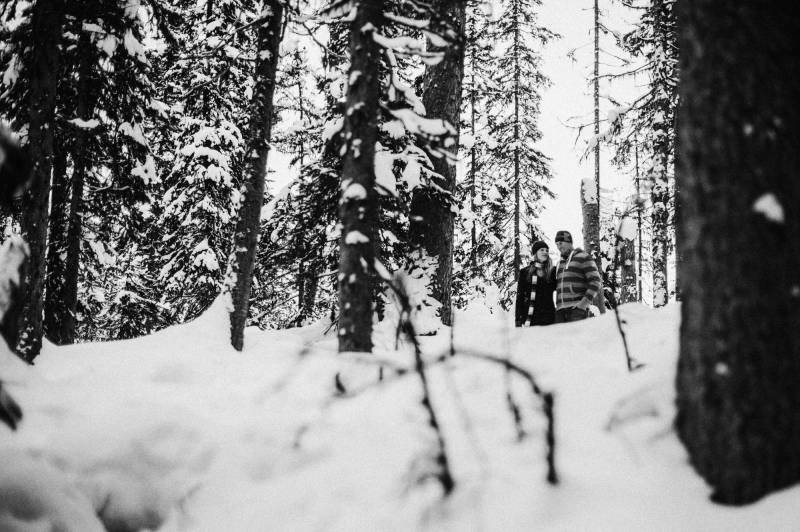 And I'm excited to introduce you to Edmonton based wedding photographers, B.D.F.K Photography, who are exactly those kind of photographers. 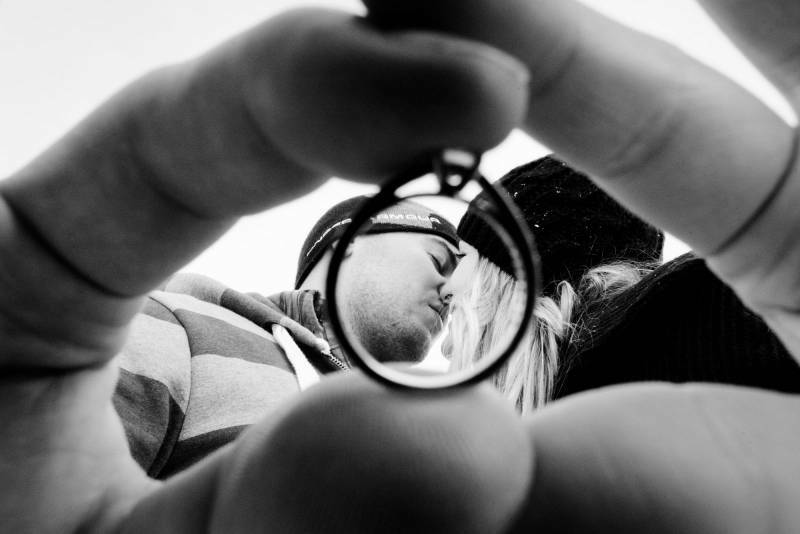 B.D.F.K Photography was born amidst the rocky mountains where they loved to explore, hike and photograph the incredible beauty of mother nature, as their photographs became more and more recognized they expanded their photography and today capture the rich emotions of couples getting married all over the mountains, Edmonton and throughout the world. 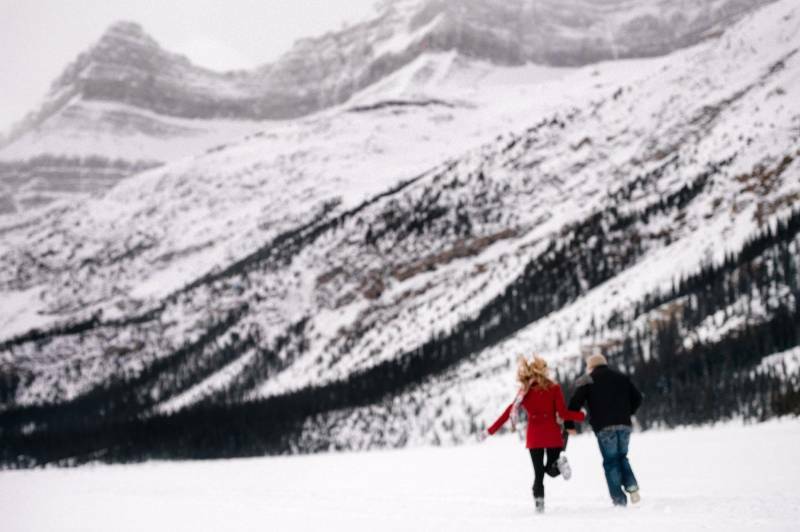 Although I enjoyed every minute of the sun this weekend, I still love everything about the winter inspiration in this gorgeous Lake Louise and Canmore Engagement session of Madison and Thomas. 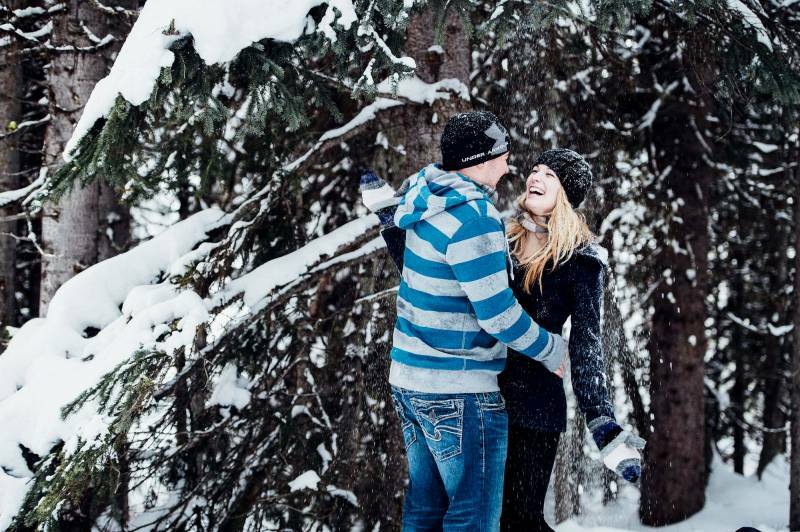 There is a tangible feeling of love and adventure captured in these photographs and everytime I look at them it makes me smile and feel so excited for these two as they begin the most amazing journey of marriage. 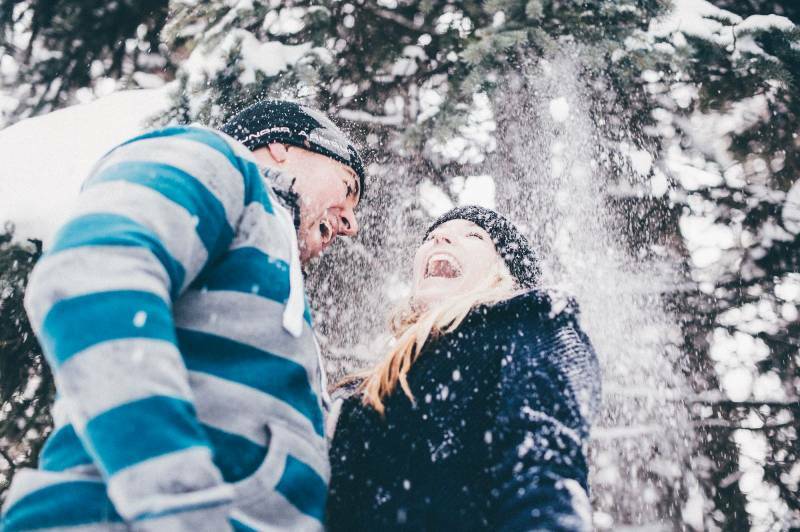 You know it's going to be an exciting and adventurous journey as you can see the twinkle in their eyes and their love for laughter and excitement. 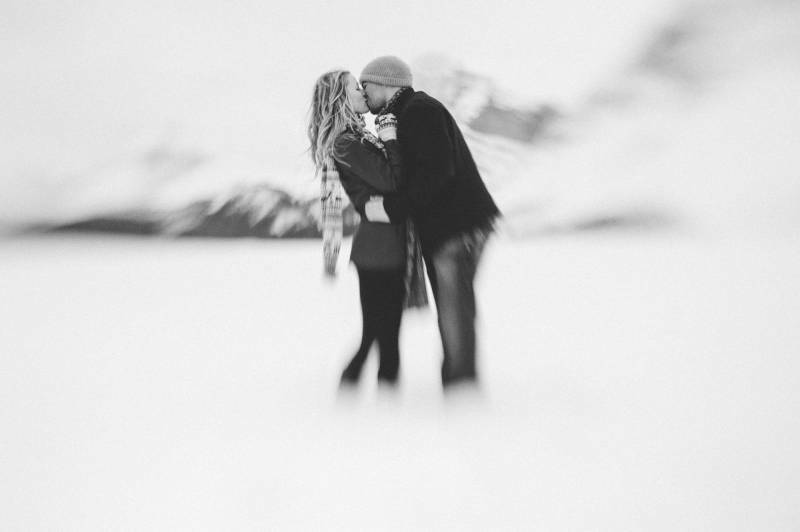 I love how B.D.F.K Photography captured the majestic beauty of the mountains capped with snow and also froze the sense of wonder and love between these two in each photograph. 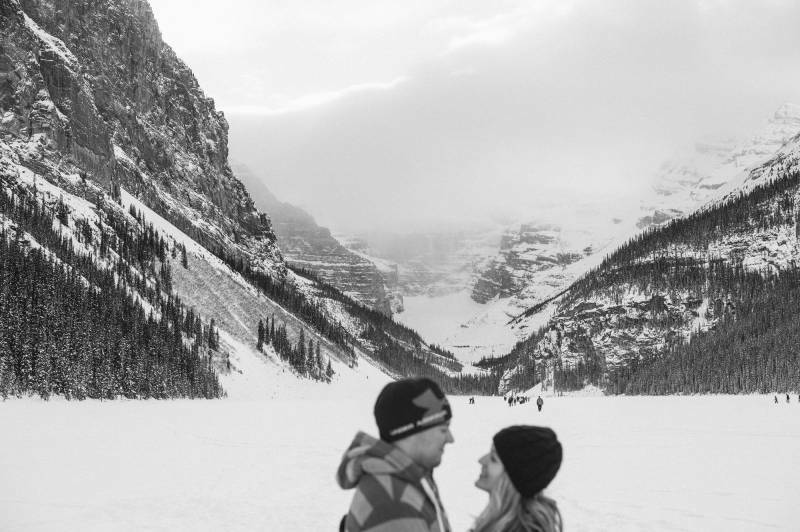 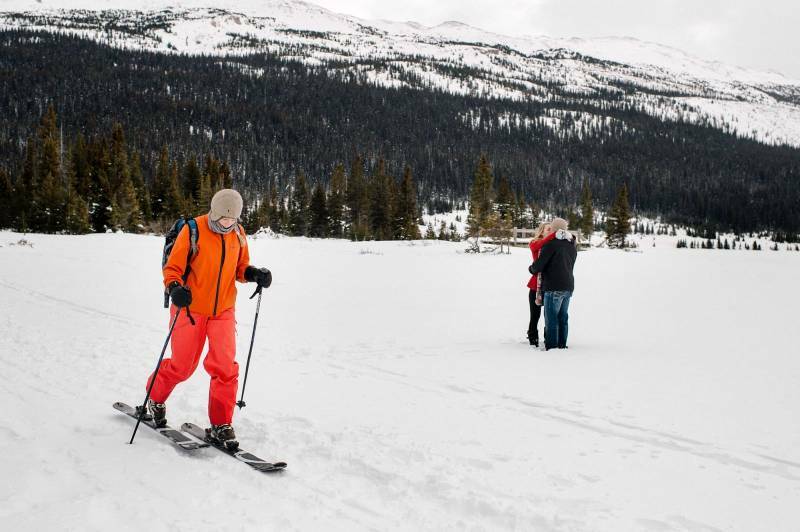 A huge thank-you to Edmonton wedding photographers, B.D.F.K photography for capturing such amazing Lake Louise engagement photos and for sharing all of the emotion and beauty with us today. 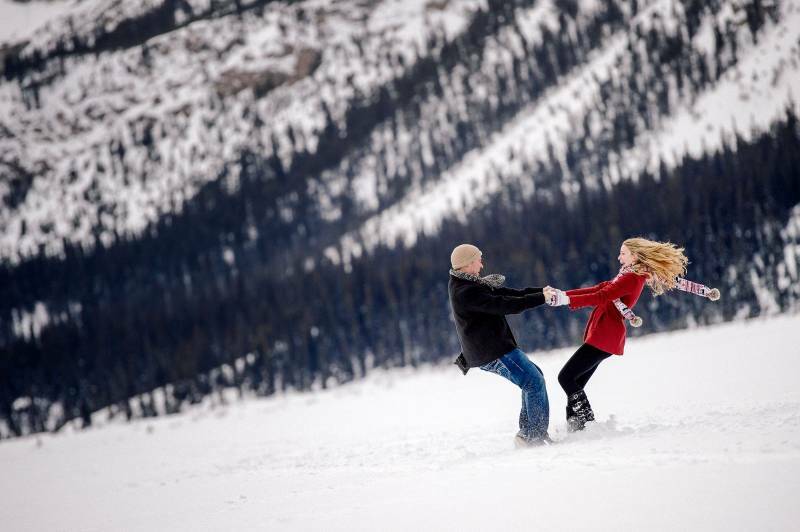 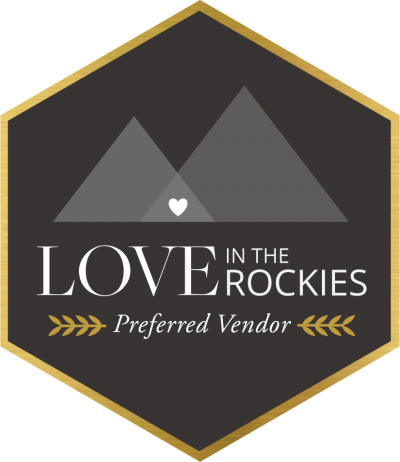 If you're looking for a photographer for your rocky mountain wedding or Edmonton wedding be sure to check them out.